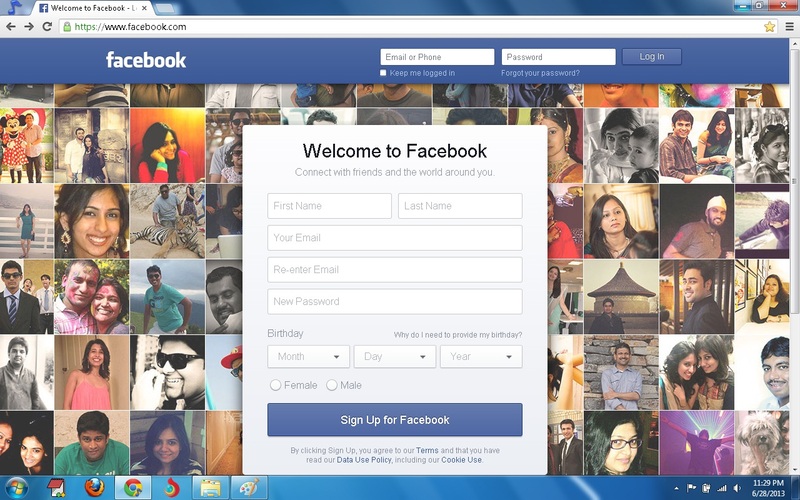 Found new Facebook login page, Is it indication of new facebook look?? Yes, This is going to be the new facebook login page. Today some of our user report that they are facing slow connection when opening facebook. It is due to updation of facebook look. Today we found new facebook login page. My friend was going to log in his facebook profile and when he opened Facebook.com, He found a new login screen. It was really surprise to us. Is facebook is going to bring its new look? Yes, of-course. Facebook is testing its new look randomly. Above given pic will come as a login page. Its not sure that it'll definitely. because facebook is trying seveal new ideas. The best Idea will be implement as a final. But lets talk about this login page. The pictures that you can find is taken according to the location area of your connection. This is a beautiful login page by facebook. Lets wait Till when facebook will launch its new look completely. Did you like this look? Comment what do you think about this login page.